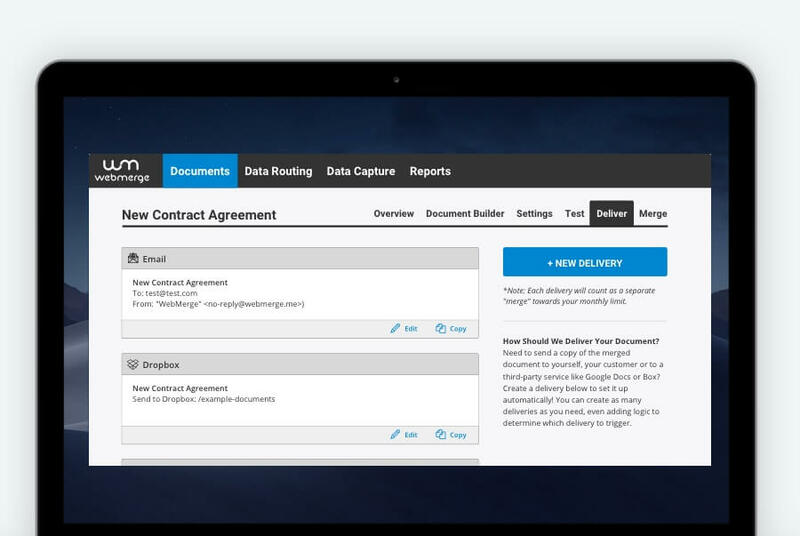 WebMerge is a vital partner in helping you automate your document generation. 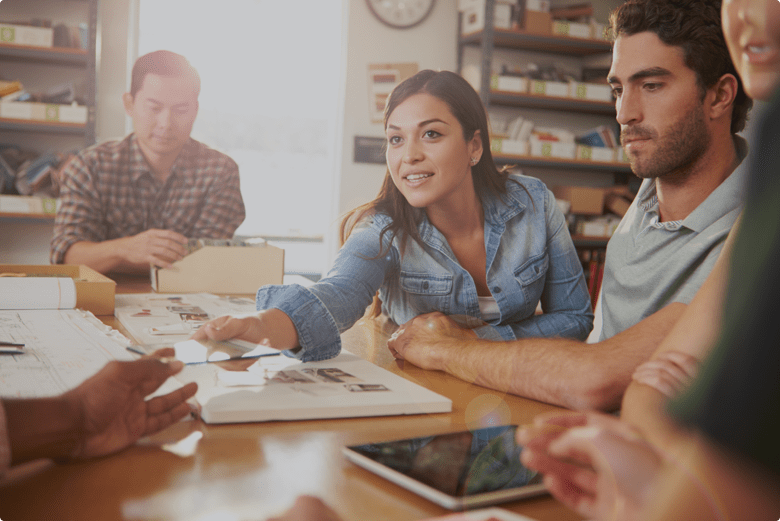 With our open platform, you can customize WebMerge to work with just about any system you need and the integration is seamless. 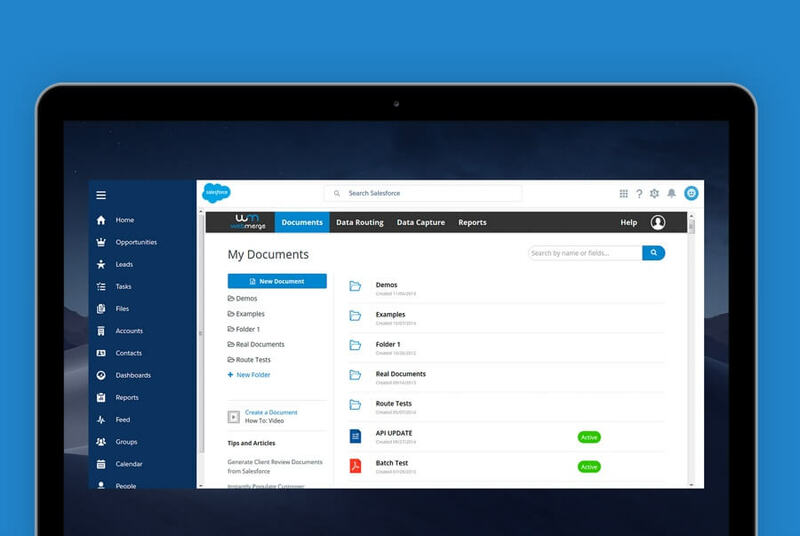 The WebMerge for Salesforce package is available for Group, Professional, Enterprise, Unlimited, Developer, and Performance editions. 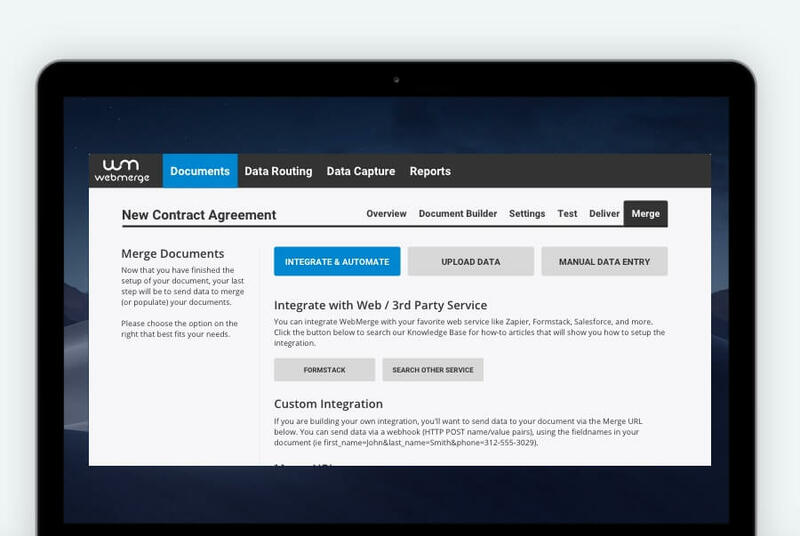 WebMerge helps enterprise businesses streamline document generation assembly on a large scale to provide maximum efficiency. 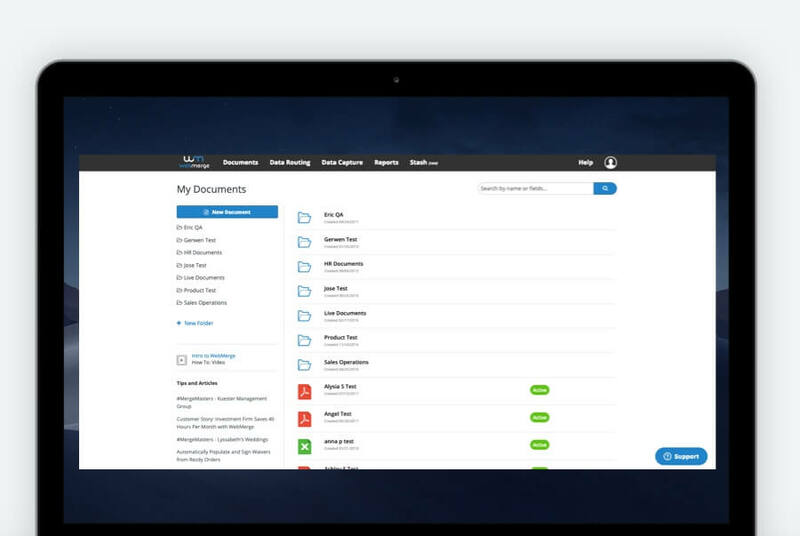 WebMerge replaces manual business processes by helping you generate sophisticated documents using only the information needed. 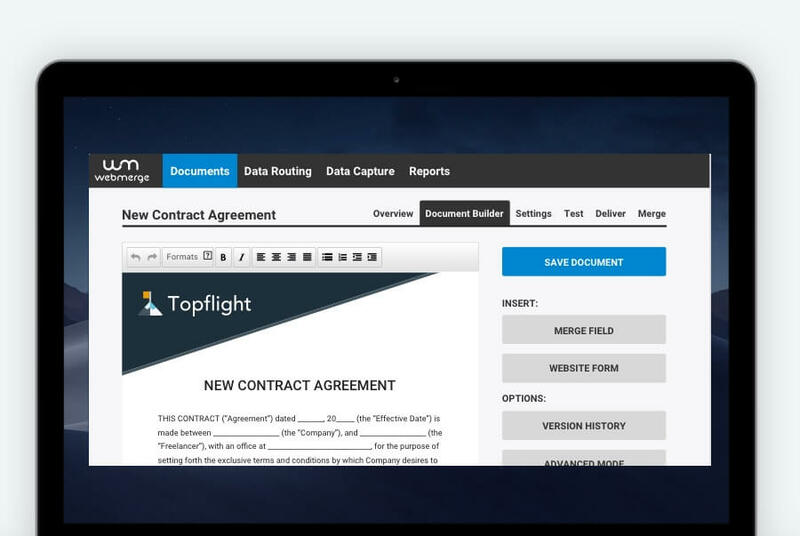 Whether you're generating a simple 1 page application, or a 50 page agreement, WebMerge provides the tools to create documents in an instant. 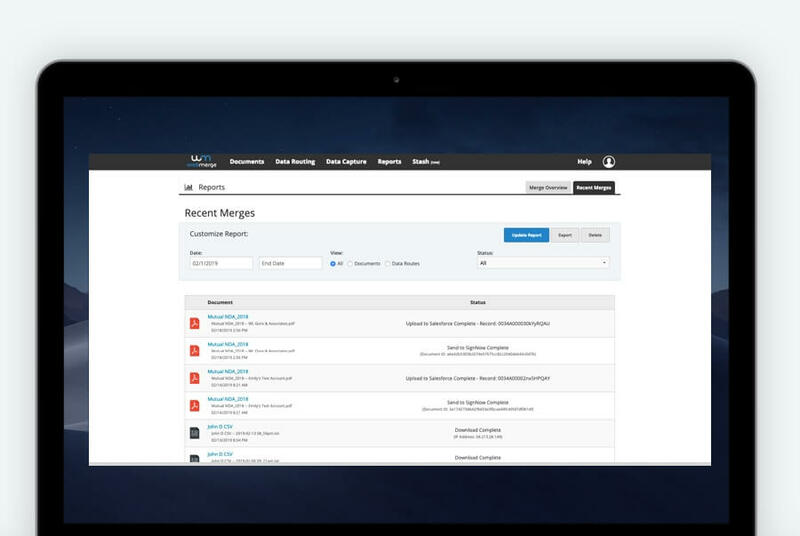 WebMerge helps businesses automate their online data collection through integrations with online form services and simple data capture tools. WebMerge provides an open REST API that makes it easy to create new documents, manage new versions, as well as merge data. Try WebMerge completely FREE. We know you'll love us.